Website accessibility based on the American with Disabilities Act (ADA) became an issue for the Beyonce website. Media outlets featured articles about it in January 2019. A blind person sued Parkwood Entertainment, Beyonce Knowle’s management company, because the site wasn’t accessible for her. That may be true for small business owners with few employees. However, there is a problem with this line of thinking. It often doesn’t take long before an issue like website accessibility goes mainstream. Almost every business today has a website. The ADA is federal law that affects businesses with 15 or more employees. It is a fact that the ADA accessibility issue has already gone mainstream. 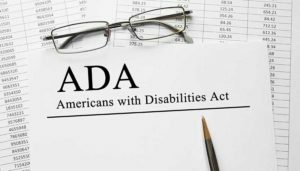 As it stands today, numerous lawsuits filed on grounds of ADA non-compliance exist across the nation, and the numbers keep growing. The New York Times article states that ADA lawsuits against websites tripled in 2018 over those filed in 2017. What Types of Business Are Being Sued? The lawsuits that allege websites are ADA noncompliant name parties that go well beyond celebrities. They include: insurance companies, colleges, moving companies, sightseeing tours, yoga studios, fashion industry companies and restaurants, to name a few. Accessibility is a serious issue. The American Foundation for the Blind (AFB) has an article on its website entitled “Improving Your Website’s Accessibility.” The article lists steps that a web developer should take to make the site accessible for blind people. Are You Concerned About Website Accessibility? Is Your Website Accessible for the Disabled? We are glad to discuss how we can make your website accessible. Contact a NY Internet marketing specialist today.